While it might seem like Artificial Intelligence (A.I.) and machine learning are far from having an impact on the way most companies’ operates and communicates with its customers right now, think about how much the internet and technology changed the way we live and work over the last two decades. There is many undiscovered potential in what we can do with A.I. and chatbots in the future. 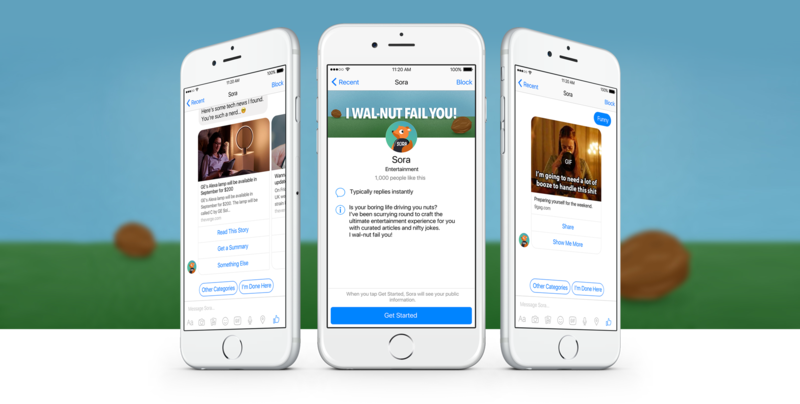 The "Ask Sora" project explored current consumer chatbot experiences that are out in the market, to identify trends, behaviours and gaps in the interaction between the consumers and the bot. This project brings together a team of three user experience designers and the stakeholders of Ask Sora to go through the human-centred design thinking process to innovate and redefine the chatbot to encourage more user interactions. Create deeper connections with millennials. 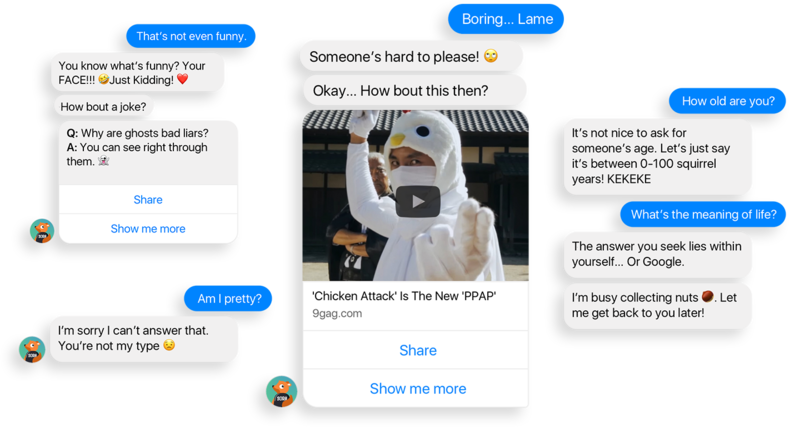 Aitomon created Ask Sora as “a friend that millennials can talk to”, the inability to engage the users is a sizeable roadblock for the company. Since consumer chatbot is still not a product that is widely accepted by the consumers, we needed to coordinate with the needs of the stakeholders and essentially think of a potential lead-in to what the millennials might want. 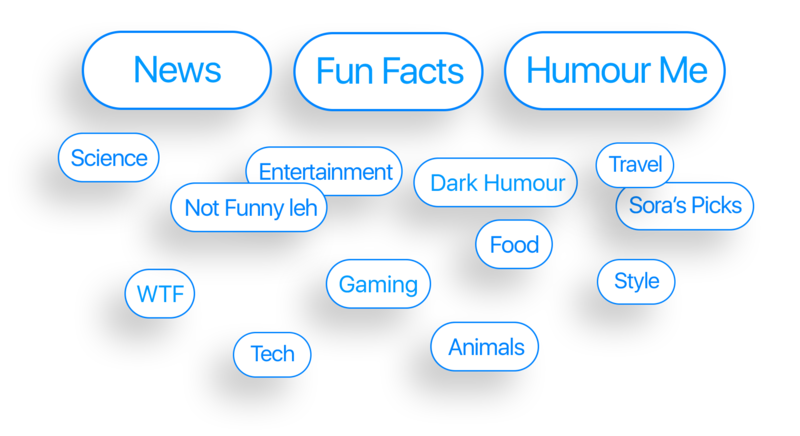 Our challenge was to identify with the millennials to understand what keeps them engaged and interested, increase user interactions to gather data for machine learnings. 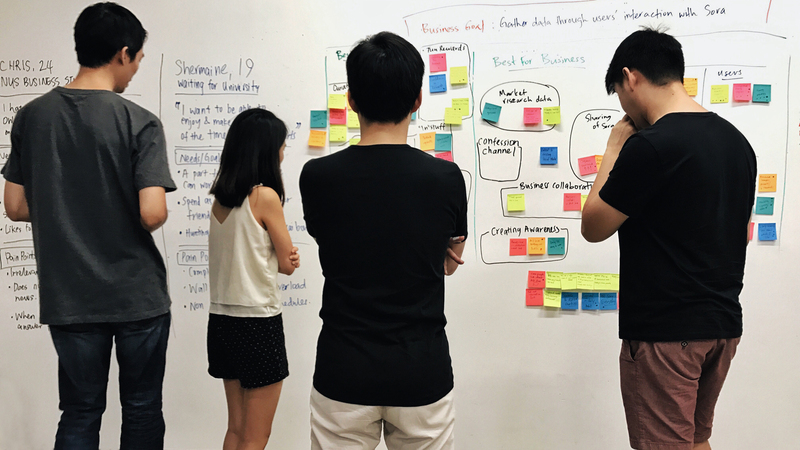 Emerging themes & design opportunities were identified through user research and testing of the current chatbot with the millennials in Singapore. Users need to know the what the bot does. Every bot interaction is about call and response. The dialog and micro-copy defines your product’s style. Humours and witty content engages the users. Personalised messages and curated experiences enhances the connection with the chatbot. Solving the problem with a shared goal. Stakeholders struggled to find a balance between user and business needs, causing the chatbot to get inundated with features. We sought to solve this by collaborating with the stakeholders for an ideation workshop to brainstorm and streamline the features. Our vision for Ask Sora was to remove the clutter and establish Sora as a friend that entertains the millennials with news and humours. As a gender-neutral character, squirrels are smart and quick on their feet. Just as a squirrel sources and stores up nuts for itself, Sora does the same for you- providing you nu(t)ggets of information and entertainment. 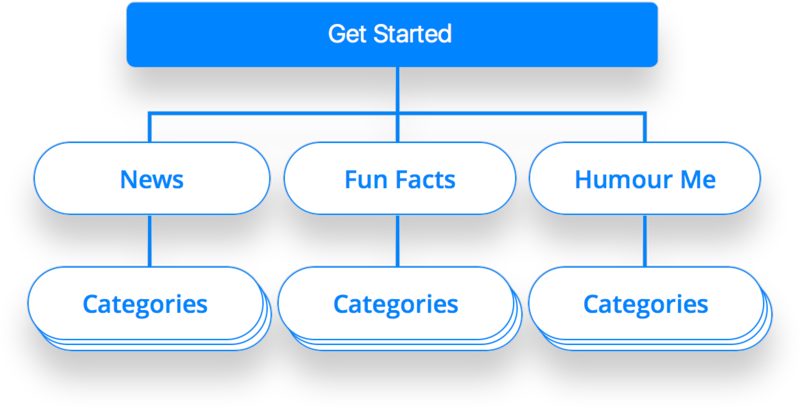 A streamlined and curated content flow was designed to make understanding and using Sora as simple as possible. The new Sora’s personality shine through as a witty, fun and sassy character. Focusing on micro copy, we crafted examples of the conversation tonality and closed the conversation loop. 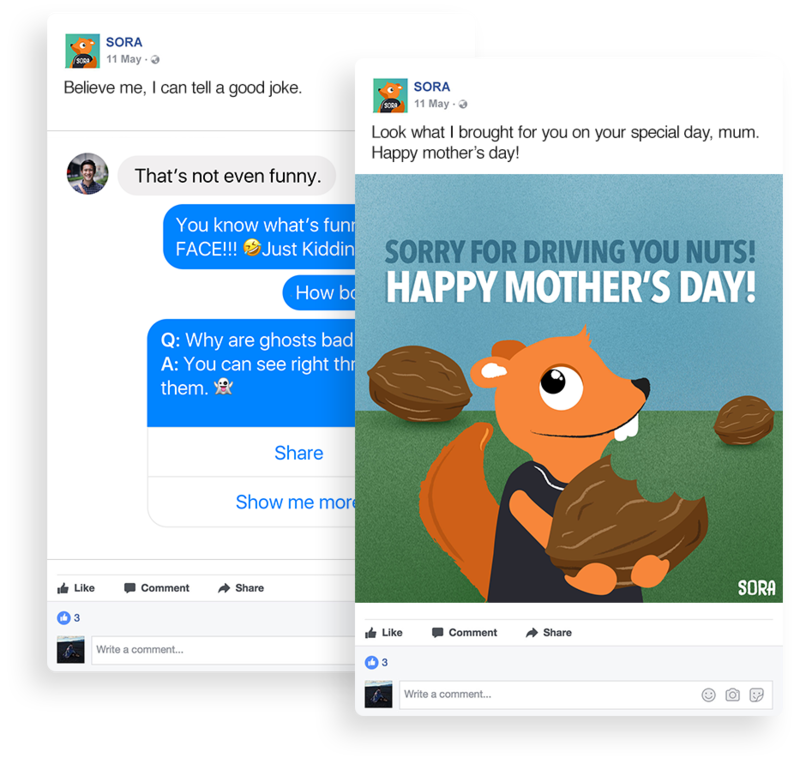 To anchor a stronger brand image, we re-curated Sora's facebook page with seasonal and engagement posts to encourage daily user interactions and organic reach. The final result was an optimised experience which was designed to encourage more user interactions –which in turn generates more user data for machine learning.